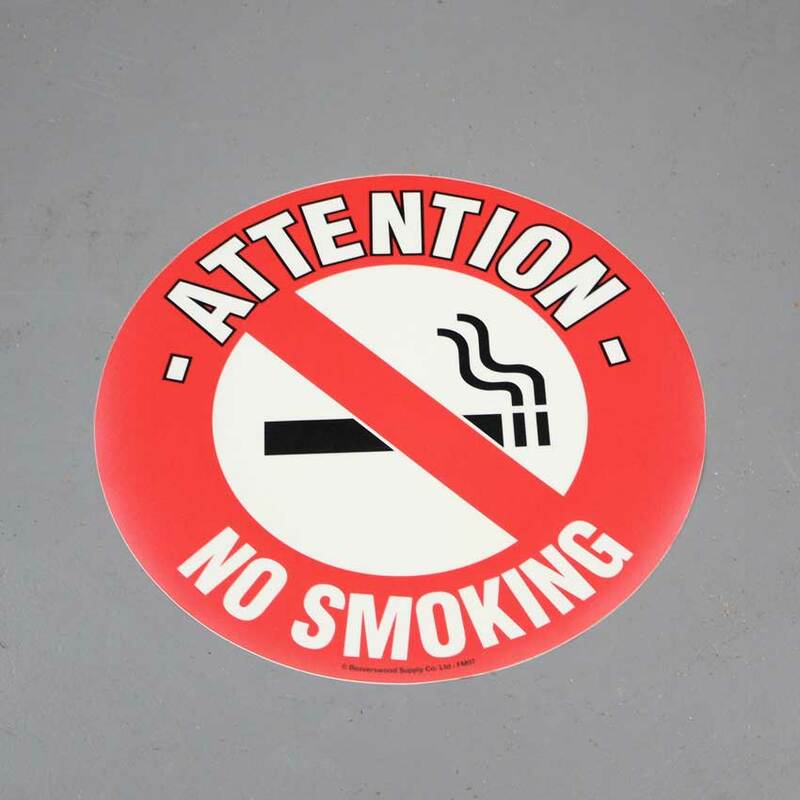 Highly visible no smoking sticker sign with cigarette illustration. Floor signs are secured safely to a dry clean and sealed flat floor and will alert employees and visitors to the rules that need to be followed to ensure a safe and healthy environment. 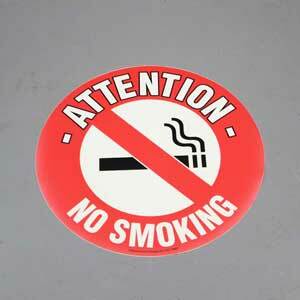 The No Smoking Graphic Floor Markers are highly visible warnings prohibiting smoking within certain areas. 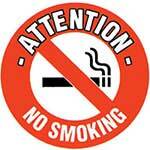 Smoking can prove dangerous, putting people and goods in danger, but it is also illegal within a workplace. Organisations must publicly warn people that smoking is not permitted to ensure a clean working environment, to prevent any fires or damage to goods and, also, to prevent any criminal conviction if found guilty of not enforcing the law. No Smoking floor Graphic Floor Markers are a simple method of ensuring that employees and visitors are aware of the no smoking policy within the organisation. They are designed with highly visible bold lettering that can be read and understood clearly. The clear PVC signs are laminated with a tough permanent adhesive to ensure that they are non-slip. The signs are individually quality tested for non-slip. The No Smoking Graphic Floor Marker is displayed with the latest ISO EN 7010 symbols adopted by the HSSA to ensure that members across all EU nation states recognise and understand them. The glossy signs are coloured red and black with a line crossing through a burning cigarette and ‘Attention – No Smoking’ written in bold large letters.